When my attention was drawn to Blackface’s twitter rant about the “theft” of his songs by his ex-band mate 2Baba, my initial reaction was to ignore what I perceived as an obvious marketing gimmick for his new single. 1. 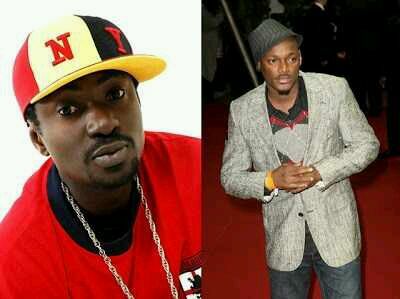 2Baba and Blackface do have a bunch of songs they co- wrote in their days as Plantashun Boiz. 3. 2Baba has always given Blackface (Austin Ahmedu) co- writing credit every time he recorded any song that has Blackface’s input – No matter how minimal. 7. 2Baba did not and couldn’t have stolen “Let Somebody Love You” from Blackface. The song was released about 2 years ago. Blackface complained about his name being misspelt on the CD sleeve and we personally apologised to him. 10. The outro verse was lifted from the song “How?” written in 1997 and recorded in 1999 at Dolphin studios, Surulere. Blackface didn’t write that bit. Couldn’t have written that bit. Blackface cannot in 2016, touch Efe Omorogbe’s writing from 1997. 12. Blackface should record and release his own version of “Let Somebody Love You” and keep 100% publishing on that version. Oops! 2Baba will still be entitled to a share.